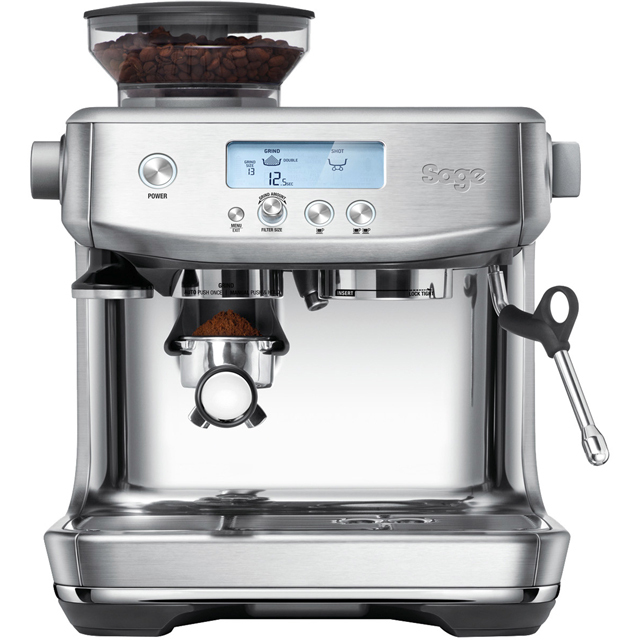 Enjoy fresh, barista-style coffee with this brushed stainless steel bean to cup coffee machine from Sage. Whether you prefer a smooth, indulgent drink or one with a little more kick, the variable grinding option lets you tailor the blend to suit your personal tastes. The built-in grinder uses less heat to preserve flavour, meaning every sip will be as delicious as the last. Plus, because innovative PID temperature control precisely heats the water during extraction, you’ll always get the best flavours and aromas. If you’re a fan of café-quality coffee, micro foam milk technology helps you get the hang of latte art. And, the useful auto clean function keeps your machine in its best condition, so you’ll get years of incredible performance.